« Samsung Galaxy Note Is On Sale Today With Some Freebies! 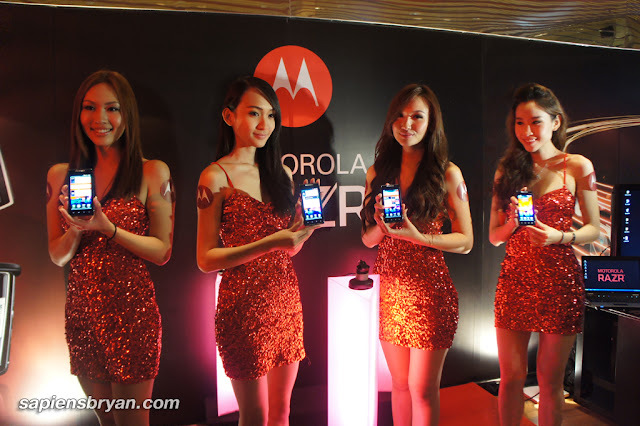 Two phones chose this special day today 11/11/11 to officially launch in Malaysia, one is Samsung Galaxy Note and the other is the long anticipated new Motorola RAZR. RAZRTM is the most well-known model of all Motorola mobile phones in the history and they are using the same name for this latest smartphone that is impossibly thin, lightweight, fast, and tough! 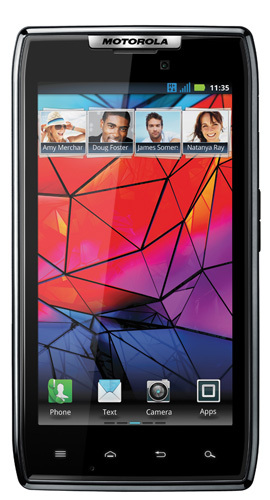 I believe the legendary name RAZR is suitable for this new phone as it features some incredible specifications and the price is only RM1,999! 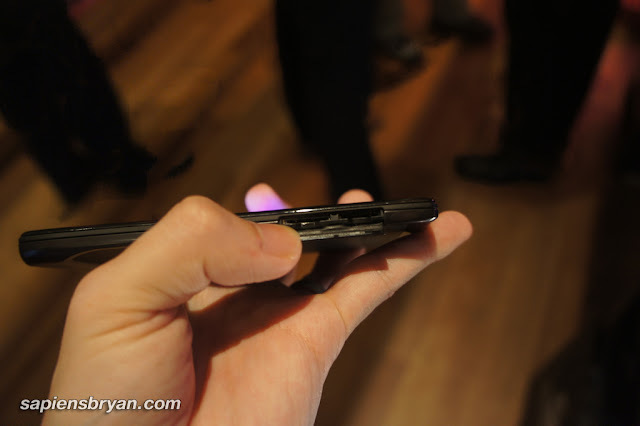 Motorola RAZR is so thin with the thickness measurement of 7.1mm and it weights only 127g. The 4.3″ screen size has recently become a topic of discussion whether it is too big for our thumb to reach all corners of the display, so I tested it myself and you can see the result in the following picture. 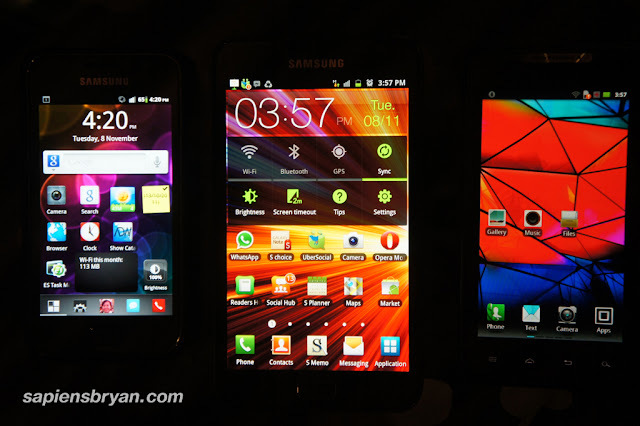 I guess the huge Super AMOLED Advanced display would be just nice for average users as it fits comfortably in my hand. No problem using the phone with one hand. What makes the phone tough is the reinforcement of Corning Gorilla Glass on the display and curved body that incorporates Laser-cut KEVLAR fiber. It’s undeniable the KEVLAR fiber looks elegant too. 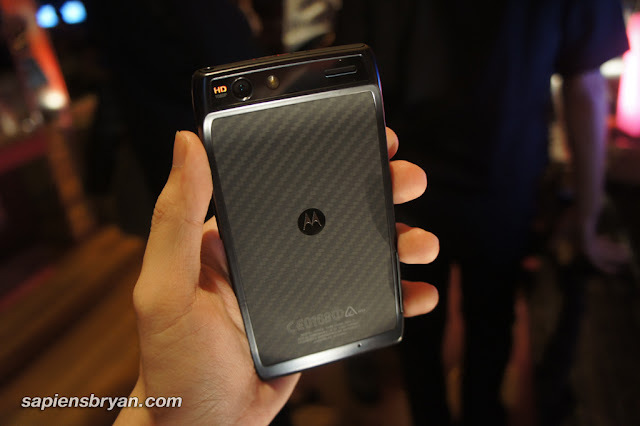 In addition to that, a stainless steel core and laminated construction enhance rigidity and splash-guard coating shields the Motorola RAZR against unforeseen water splashes. 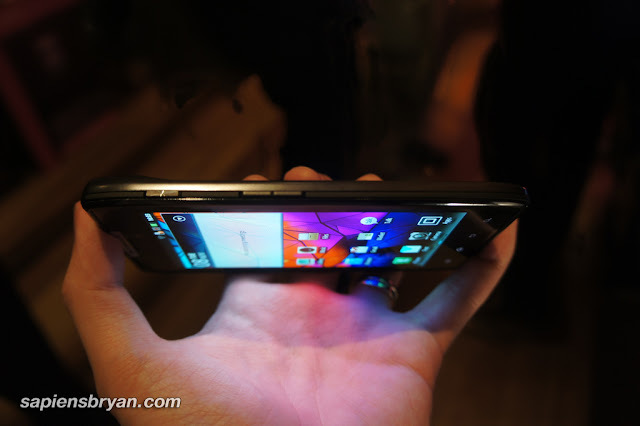 In case you are not aware of it, Motorola RAZR is one of a few smartphones in the market that uses microSIM. 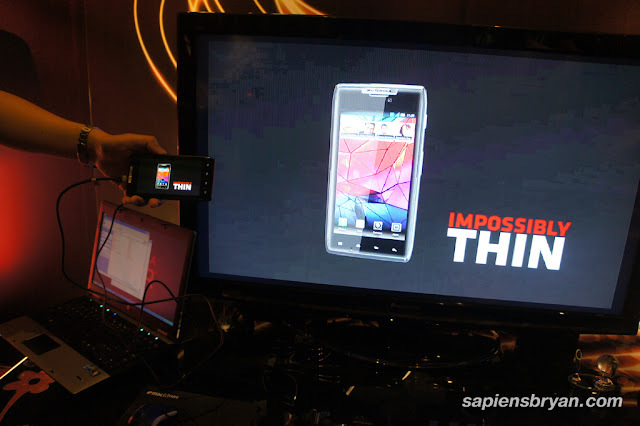 The integrated HDMI connectivity via microHDMI port also enables you to connect the device to HDTV or HDMI-compatible monitor to experience the phone in a bigger screen. 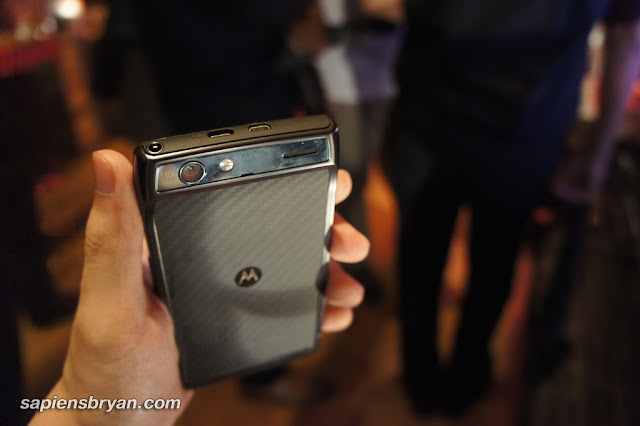 Motorola RAZR also comes with MotoCast, a free and exclusive file-streaming app for Motorola RAZR, that allows you to get secure access to files and media on your computer. Play your entire collection of music and videos on your mobile device over Wi-Fi and data networks. MotoCast also lets you use iTunes or Windows Media Player to sync the music files stored on your computer and smartphone. Watch the video below to see MotoCast in action. I like samsung galaxy.Its really looking gorgeous.You have put huge information in a single blog.Its really very informative post & really important to us.Keep sharing with us in future too.Keep it up.